River Clyde Homes wants to ensure that its customers have the best opportunities to prevent them falling into financial hardship. To help with this, River Clyde has entered into a partnership with Pollok Credit Union (PCU). 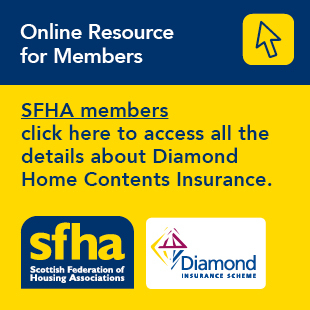 PCU provides an account for tenants of social landlords in Scotland that allows universal credit to be paid into customers’ accounts and for the housing costs to be automatically deducted on the same day and paid directly to the landlord. This can help tenants avoid worries about managing their money and help them sustain their tenancies. The free service comes with added assistance. If at any point a full universal credit payment does not come into the account, PCU will negotiate with the Department of Works and Pensions to find out why and River Clyde Homes can assist with appeals when tenants have been sanctioned. Customers can withdraw money at River Clyde Homes’ offices and a prepayment card is available for use in day-to-day transactions. A mobile phone app is also being developed to provide customers with balances and to enable them to make one-off payments for online purchases. “The PCU Save It Account offers a great way for Universal Credit claimants to safeguard their homes by ensuring their rent is paid every month. The account will also help customers to budget by using the new PCU Smartphone App to check balances and make transfers. I would encourage any River Clyde customer who is claiming Universal Credit to speak to our colleagues today for more information." Customers can open an account at River Clyde’s office in Clyde Square, Greenock, where there is a freephone helpline to PCU.